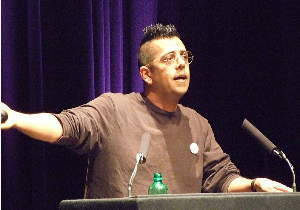 Science writer and journalist Simon Singh, who faces a libel suit from the British Chiropractic Association (BCA) for writing that a number of chiropractic claims of treatment of disorders unrelated to the spinal cord such as asthma were ’bogus’ has written in his column that it will be the last. He is resigning his job in order to give the libel suit the BCA has served on him full attention. I recently pointed out an extensive review of the evidence for and against chiropractic treatment that showed that the claims that Singh objected as unsupported, are unsupported. I am not familiar with British libel law, but others indicate that companies there can choose to respond to claims that their product or service is unsound by sidestepping that the objections raised have an evidenced basis to make the focus on if the company (or association) had known of that evidence. Still on the subject of chiropractors, and closer to home, a local chiropractor who runs a weekly advertisement for his practice declares that most drugs don’t help (see page five, bottom right: use the ‘+’ button to zoom in to read the advertisement). Even if he were right and the examples not misrepresented, cherry-picking a few and presenting them as if they represent all drugs is a fallacy. Sigh. Maybe for another post… Never minding his claims maybe he ought to read Bronfort and colleagues’ paper (PDF file) and check his own backyard first. Here’s hoping that Singh’s efforts will move all this (chiropractic and, separately, libel cases in the UK) to a more wholesome state. I’ll also hope that it extends to a wider sphere that takes note of ’lesser’ ’alternative’ remedies and their practitioners. And that other countries like New Zealand take note. For those interested in the general issue of misleading claims about treatments and vaccines, Nikki Turner and Helen Petousis-Harris have written about misleading statements regarding New Zealand’s Gardacil vaccine program. Chiropractic libel suit snagged by its own ruling body? True, chiropractors are remiss in much of the research that should have been done. But, for decades, our research wasn’t wanted by medical journals, and was rejected not on an intellectual basis, but a market-control economic basis. Currently, several chiropractic research journals are now on line receiving impressive chiropractic case studies in so many human maladies that any intellectually honest person without bias pro or con might conclude that chiropractic represents a tremendous breakthrough for the human race. In my own case, I had to plead with a relative of mine to let me give chiropractic care to their daughter with severe asthma that had recently presented itself. The six-year old girl was already on five asthma drugs, with little positive result. One chiropractic adjustment – she was asthma free for six months. A second adjustment at that time – asthma free for 2 years. Just last week, I got a video taped testimonial from another family explaining how their 3 year old son has never again been to the emergency room for asthma since his first adjustment under my care. He used to go nearly weekly. I don’t have time to write up these studies! And asthma’s old hat to me, as a chiropractor. It’s boring. I will take my share of responsibility for not minding my science’s research business as I should, but I would believe that the advancement of the human race would do better here with a little more benefit of the doubt from the public. Our skeptics do seem to be products that have direct and indirect financial ties to medical interests. . . .
Leaving aside that the excuse offered evokes a conspiracy, your first paragraph is besides the point: whatever did or did not happen in the past will not change the evidence presented in (say) Bronfort et al., Ernst or the papers they cite. Citing case studies the way you do reminds me of overblown advertising: it deserves skepticism. You canâ€™t conclude much from cases studies. To be brief, they are essentially flawed by their nature and are â€œleads,â€ not conclusions (e.g. they can be false leads, too). Regards your citing asthma cases: anecdotes are not evidence. Itâ€™s a common to see advertising present anecdotal cases as if they â€œproveâ€ a treatment, when anecdotes do nothing of the sort. There is a reason for case-controlled, investigator-blinded studies with sufficient numbers of cases: they (attempt to!) control for bias, variables that might affect the outcome that are unrelated to the treatment, and so on. I donâ€™t have time to write up these studies! Regards â€œasthmaâ€™s old hat to meâ€, you sound as if you wish to dismiss or not read what doesnâ€™t suit you. I would encourage you to read the evidence and check that what you are offering in fact is beneficial to your patients. As I wrote earlier, the evidence cited is against your claim. The public shouldnâ€™t give chiropractors â€œmore benefit of the doubtâ€, they should give them more skepticism. What sound medical practice writes asking for people to cast a blind eye on evidence against their practice? On the nail as usual, Grant. Dr Walls-Kaufma, as Grant’s said – the studies of chiropractic’s efficacy with regard to childhood asthma have been done, & they’ve found it wanting. As one would expect, given that there’s no plausible mechanism to explain how a spinal manipulation could affect the mast cells lining the bronchii of a child’s lungs. Even later at night I’ll attempt a probably even less understandable response… I have every sympathy as the nature of the High Court ruling doesn’t follow commonsense to me either, but it is apparently the state of affairs over there. As I understand it, the key lies in the word I emphasised: know. i.e. that the person who claims to be defamed uttered a falsehood in their mind. This makes it not about if the statement was actually false or not but resting on if they knew it to be false. The latter was apparently the ruling that the High Court judge made that Singh recently appealed. At an earlier ruling (Justice Eady) it was judged that the words (including bogus) meant that the BCA were knowingly and dishonestly promoting treatments that they knew to be ineffective. For reasons that I do not understand this meant that it did not matter if the treatments worked or not. No one will care. It will not be raised in court. All the BCA have to do is sit back and relax as Mr Singh tries to prove that the BCA was knowingly dishonest in the matter concerned. This is apparently regarded as more or less impossible, particularly since the BCA is a corporation and no one seems to know if a corporation can even know anything at all. Nonetheless, Simon may still lose: the Court of Appeal could decide that even if the High Court ruling is incorrect, it is not so incorrect that they should disturb the judgment. I take this to mean that the Court of Appeal could basically accept the previous (High Court) ruling with a few tweaks, leaving it grounded on if the BCA knew it’s claims to be false or not, not if they were in fact false or not. But it was another question which may prove devastating to the BCA. But, responded the judge, isn’t that what “evidence” means, especially in a scientific context? Is that not how medicine and science develops? Is that not what a reader of the Guardian article would understood the statements to have meant? Sorry this is a bit long, but I hope it helps. For those who are crazy enough to read it all (I’m not), there is a full transcript of the appeal on Jack of Kent’s blog. Chiropractic treatment is one of the most suitable treatment method for everyone and every stage of age. It is really amazing that anyone would have a new life after applying chiropractic.